Eduardo Campuzano is the man behind neuart. 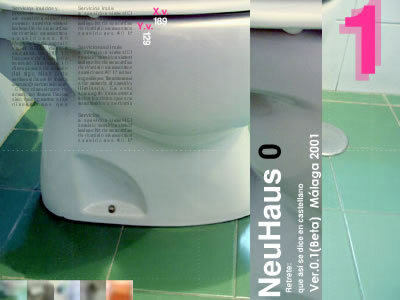 The last version of his personal site, Neuhaus is quite recent, 6 months. But in this time he has got lots of things, he is one of the best exponents of the indie Spanish design new wave. 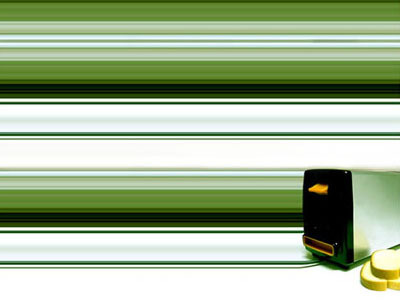 His site is pure experimentation, elegant flash with impeccable graphics. There we can know his home through the artist’s own point of view. Furthermore, behind this site there is a worried designer. He is one of the creators of aticco e-zine, from which he promote the designers collaboration and the publication of new projects. Soon, we will see him on the 800×600 Album edited by Inertia with the cream of the international web design. www.neuart.net, www.aticco.com and some collaborations to other designers’ sites. I did some things in classic design at the start, publicity, corporative identity and some CDROM, but the new media facilities and the Democratization of information have centered my efforts to the net. Nevertheless, I wouldn’t like to limit myself to the pixels. I have done a work for the Album which is going to be published by the guys of Inertia. I’m very interested in taking out the possibilities of a medium such as internet is. I think that it has been underused and now there are few projects which offer something different, not only in the graphic aspect but also in the technological aspect. My intention till now has been to learn, the only projects with which I enjoy are those that force myself to read, to learn, to research, and specially to think. I have to learn much more already. Right now what is a new tendency is the organic stuff, the sites with own life, which growth with the users. All this seems to be the line followed in the most interesting projects which are coming out nowadays. Neuart is ver anarchic because its only goal is to be able to upload my experiments and trying to contribute in any way. The only objective in this case is the experimentation, to display ideas that otherwise would be enclosed in a forgotten CD as security copy. There are much ideas that are rejected simply because they have no direct or commercial application. Aticco is another thing. Along with Oscar Montanes and Miguel Medina considered the necessity of having a site which would a meeting point for different designers. Actually, we have some objectives which we hope to achieve little by little. On one hand, to promote the common projects and at the same time to serve as support for new designers. On the other, to give an information service about what is coming out on the net. Aticco is understood more as a launcher of applications than as a web site itself. Our intention is to strenghten the Spanish interactive design community and to show it out. There are many great designers in Spain, there are very interesting projects and people who really enjoy to keep on going forward. Till now, the Spanish web designers have enclosed themselves in little groups and it seems a bit ridiculous, specially taking into account the medium in which they they work. But it seems that it is getting better gradually. Each day you encounter many projects that leave you very impressed. It seems that we are in a unexplored land, and that the new frontier is dairy renovated. I’m very mythomaniac so there are many people who I admire in Spain, butonly not to enlarge this text I could mention the work of Vasava, Area3, Xnografics,Innothna, Abel Martinez, but, above all, I like what Oscar Montanes, from who I do not fail to learn something new every day. Estenopeica.com, the next issue of Aticco and we are developing something to congregate the Spanish designers in a city during a pair of days.